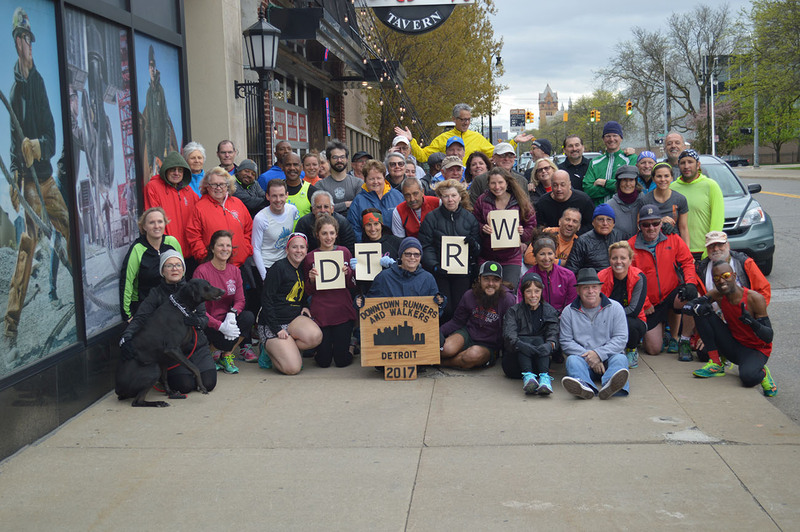 The Downtown Runners and Walkers are an informal group of runners and walkers that enjoy running/walking and the city of Detroit. Each Tuesday - rain or shine - 20 to 40 people ranging in abilities from seasoned marathoners to beginning walkers meet at a different metro Detroit site. After route instructions, people take off on a course of four to six miles. The start time is 6:00 PM. After the run or walk, everyone meets for food, drink and the most interesting conversations. For more information, Contact us via one of the options at the right.